As mentioned by Fr. Marc-André last weekend, we would like your feedback on the current Sunday mass schedule, on adding another weekday mass and any other suggestions. Survey forms are available online and outside the parish office. Drop completed forms in the box outside the office. …of Blessed Virgin Mary at St. Joseph Parish on Saturday, December 8, 2012 at 11 am., in the Extraordinary Form of the Roman Rite (Missal of Blessed John XXIII). All are welcome. Reception to follow in the Parish Hall. 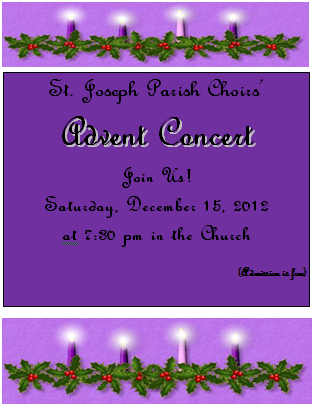 Saturday, December 8, 2012 - 11:00 a.m.
St. Joseph's Catholic Church, Streetsville (Mississauga). A Solemn High Mass in honour of the Immaculate Conception of the Blessed Virgin Mary will be held at St. Joseph’s Parish, Streetsville. The Mass will be celebrated according to the Extraordinary Form of the Roman Rite also known as the Traditional Latin Mass. If you have never experienced the ancient liturgy of the Church now fully restored by His Holiness, Benedict XVI then there is no better time than this Feast to our Lady. A light luncheon will follow. The Toronto Traditional Mass Society is very pleased to be assisting with the organization of this Holy Mass. We will have The Shepherd’s Trust annual collection taken up at each Mass this weekend, November 17/18. Thank you for your generous support and for caring for the welfare of our retired priests. your envelope number. Next weekend, Nov 24/25, we will have the 2013 envelopes out in the Parish Hall. They are set out in numerical order. For those using PAG, your envelope box # is still available if you wish to use; envelopes now have a check box for PAG on the front. In order to keep the costs down for envelopes, for the 65 or so parishioners using these higher envelope numbers, please note that we have reassigned you a lower envelope number for 2013 based on those which are unclaimed and available. A list showing your previous number and your ‘new’ envelope number for 2013 will be posted in the Parish Hall (along with your names) so that you can pick up the new envelope box with your new number for the year 2013 [ eg. John Doe, 1234 Happy St., Miss, ON - Previous #1625/ New #899]. If you have any questions/concerns, please feel free to contact the Parish office at 905-826-2766. At this special time of year, it is important to remember all of our veterans -- whether they are veterans of war or “peace support operations”. 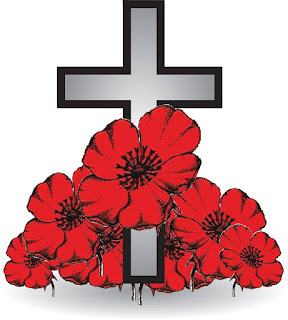 It is especially important to remember the sacrifice of those who have fallen defending Canadian values and ideals. We owe all of these heroes a debt of gratitude for protecting our liberty and way of life. **PLEASE NOTE** Wed., November 14, 2012, the evening mass will be celebrated at 7:00 pm not 7:30 pm. Registrations for the Sacraments of First Holy Communion and Confirmation for those to receive the same in April/May 2013 in our eight elementary schools is closed. 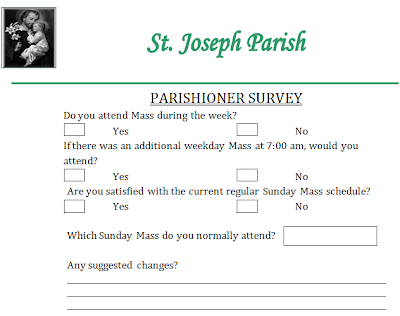 Those who have not registered, are invited to register next year 2014..
ST. JOSEPH SUNDAY MISSALS …are now available for purchase after all Masses this weekend and from the Parish office. Cost is $5.00 each.